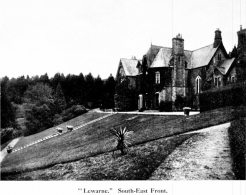 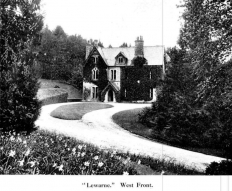 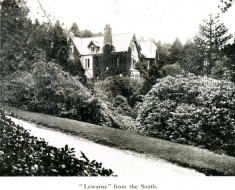 These two pictures (below) of Lewarne were taken on the day of the sale of the contents just before it was demolished. 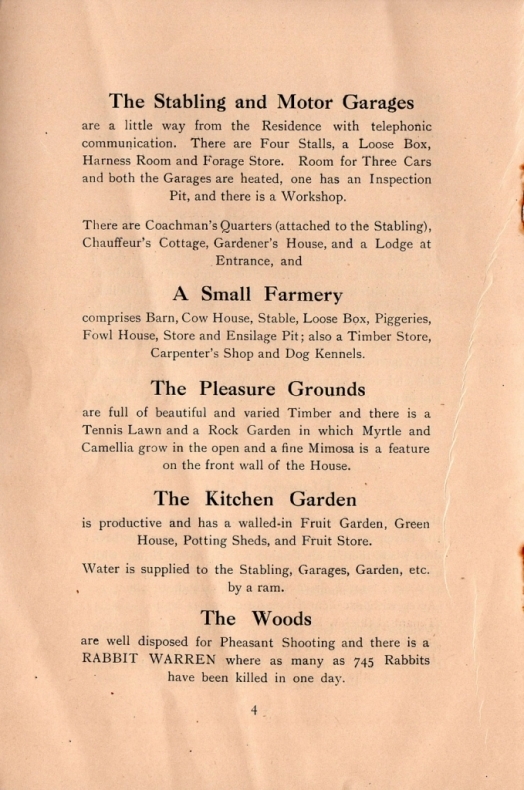 Compare this photo with the one in the sale brochure. 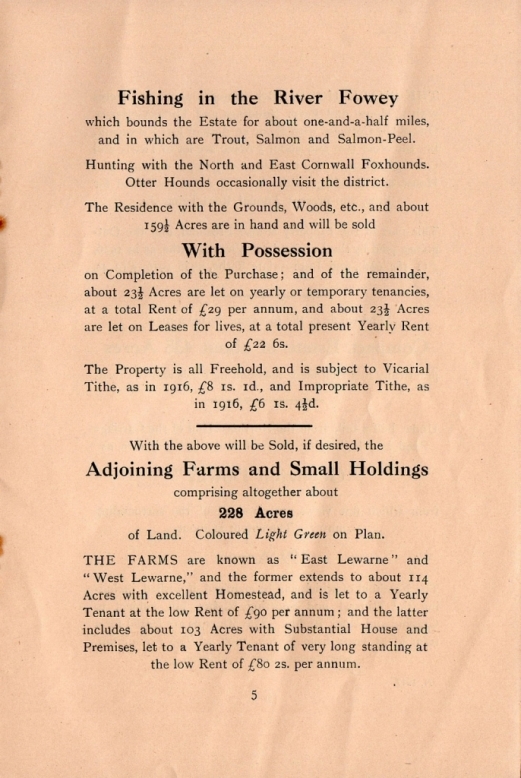 St Neot Historians have a copy of the 1916 sale "Book" when the whole estate was for sale. 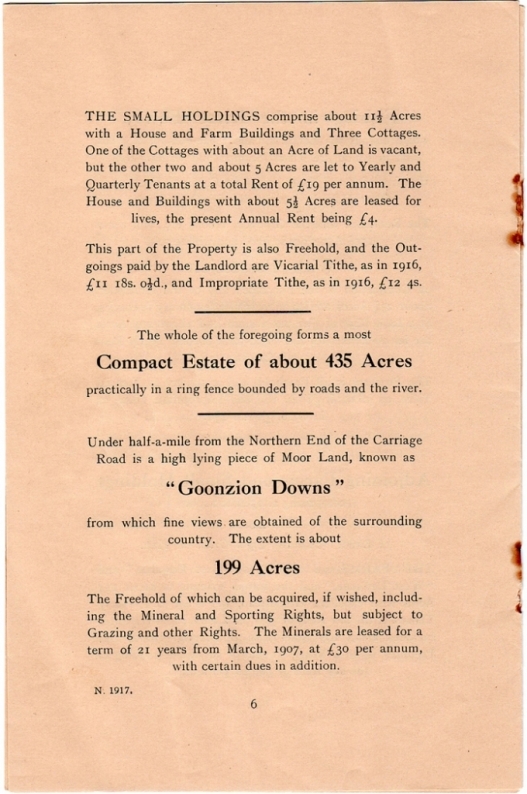 This is quite large and has therefore not been digitised, it is available to view by appointment. 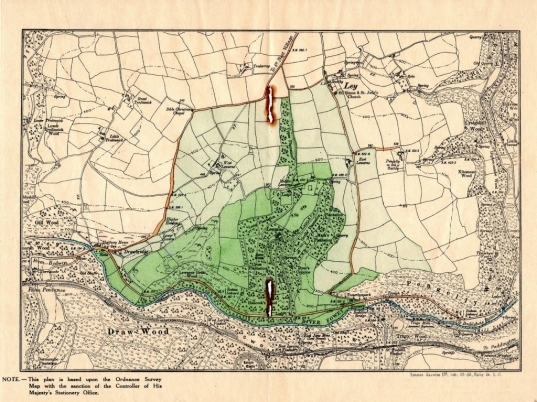 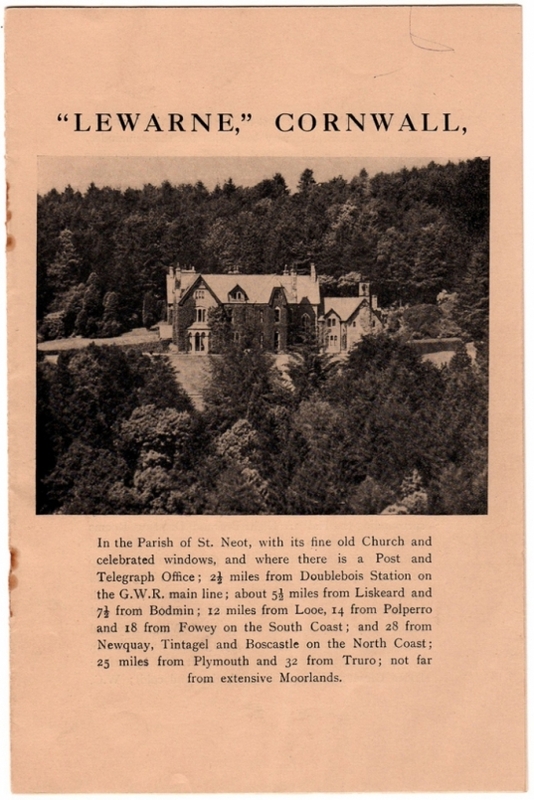 The remainder of the estate is described in the brochure. 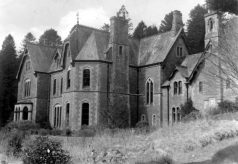 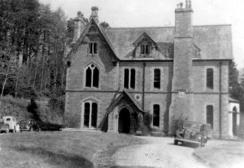 The house was pulled down after the second world war. 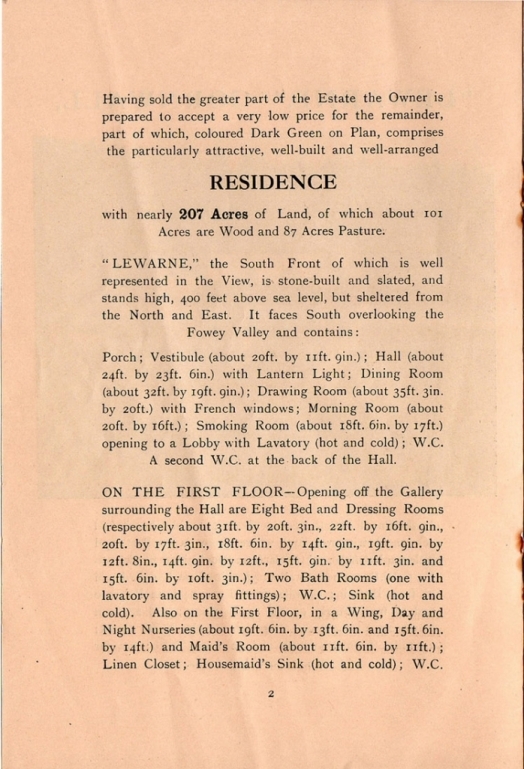 Page two starts the description of the dimensions of the rooms, we have recently acquired a plan of the house. 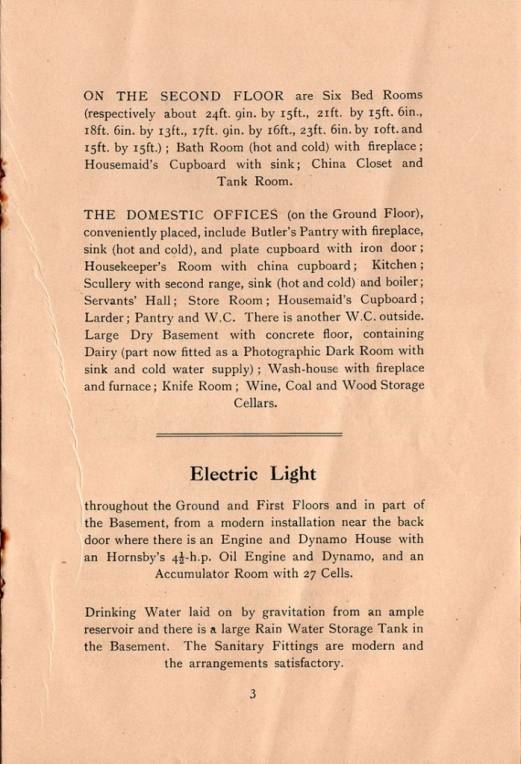 We have also some photos of the house and have recently been given a detailed booklet of the house.